Overall sales in the transportation equipment industry declined 2.9% to $10.9 billion, although sales in the motor vehicle industry increased 3.9% to $6.0 billion in January. 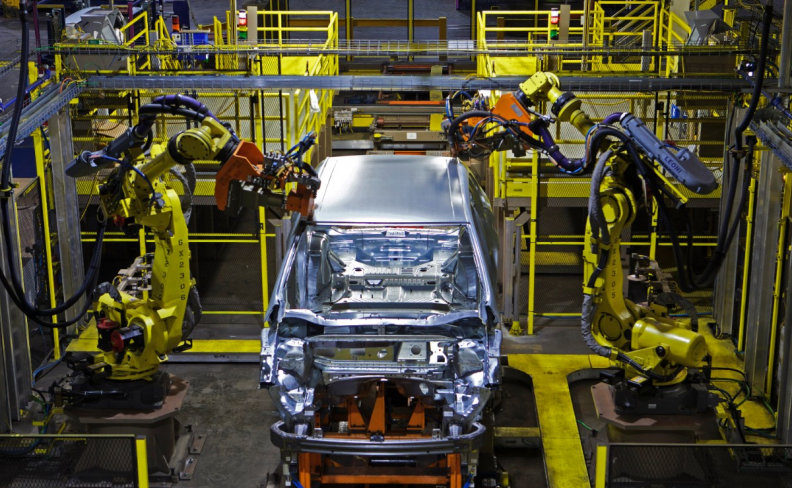 Canadian manufacturing sales unexpectedly rose in January for the third consecutive month and included gains in the motor vehicle industry. The overall increase was driven by a gain in sales of non-durable goods, including petroleum and coal products, data from Statistics Canada showed on Friday. The 0.6 percent increase in manufacturing sales topped economists' expectations for a decline of 0.2 percent, while volumes rose 0.7 percent. Sales were up in 14 of 21 industries, accounting for 75.4 percent of the manufacturing sector. New orders also jumped 4.6 per cent, the biggest increase since April 2016, on an increase in orders from aerospace products and parts and vehicles. The figures could bolster expectations for the strength of the economy at the start of the year following a positive hand-off from fourth-quarter growth. "Importantly for GDP, volumes increased by 0.7 percent, and now appear to be on the cusp of breaking out of the sideways range they've been in for more than two years," Nick Exarhos, economist at CIBC Capital Markets, said in a research note. "All told, a solid first indicator for January GDP, and with a strong hand-off from the fourth quarter of last year, (the first quarter) is tracking a greater than 2 percent growth pace," Exarhos added. The petroleum and coal sector jumped 7.0 percent, lifted by both higher prices and sales volumes. Stripping out the effect of price changes, volumes for the sector were up 2.1 percent. Chemical sales rose 2.5 percent, the third increase in four months, on higher demand from farmers for pesticides and other agricultural chemicals, which typically occurs at the start of the season. Overall, sales in non-durable goods sectors rose 2.3 percent, while durable goods sales slipped 0.8 percent.